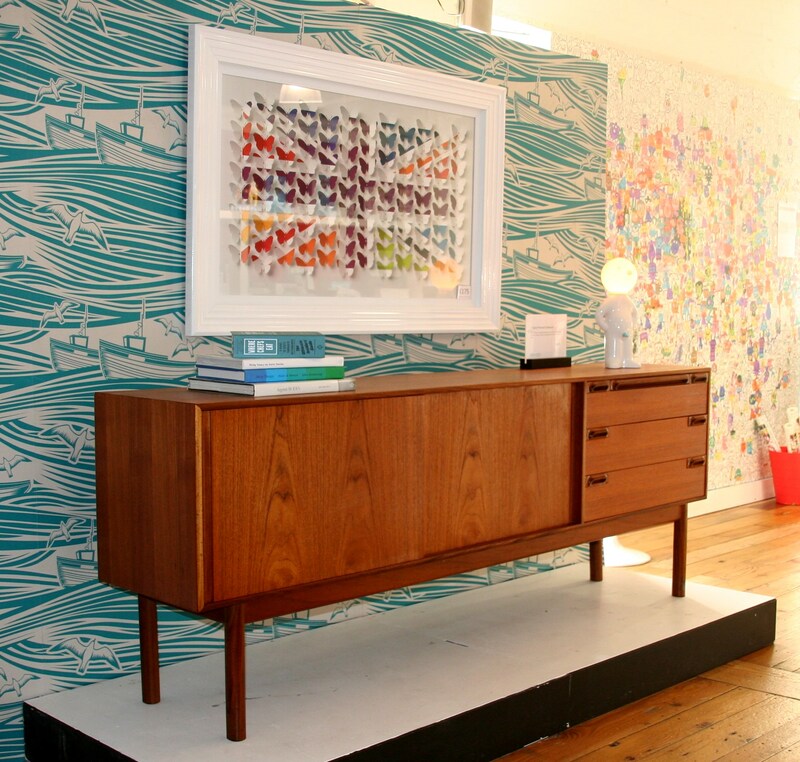 Friends of Mini Moderns will already know we’re pretty proud of our Yorkshire roots (well, we did design a wallpaper called Whitby) – so we are very excited to be stocked by Devoted To… at Redbrick, Batley. Devoted To… supports both emerging and established artists and provides a new audience for their work. 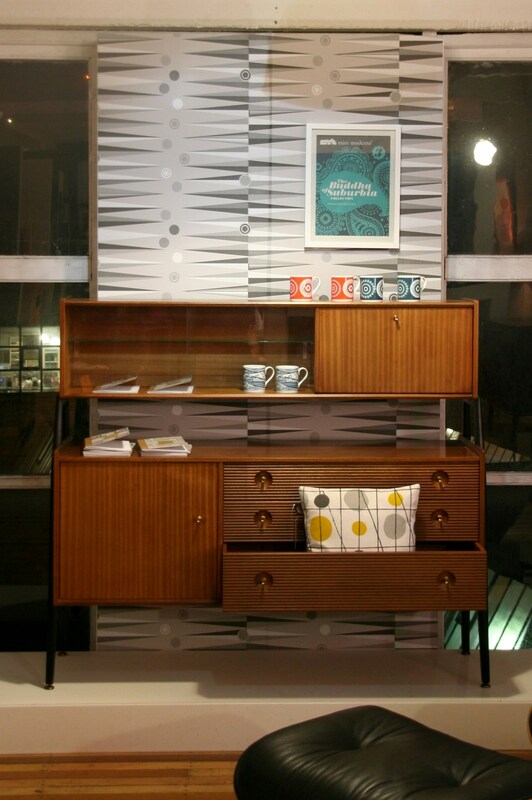 Owner/curator Simon Curran has created a wonderful presence for Mini Moderns within several areas of the gallery space, with wallpaper creating a backdrop to an extensive range of our soft furnishings and kitchenalia. Our brand new wallpaper sample book is on hand for a leisurley browse. As you can see from the pics, everything works really well together. We love those sideboards! 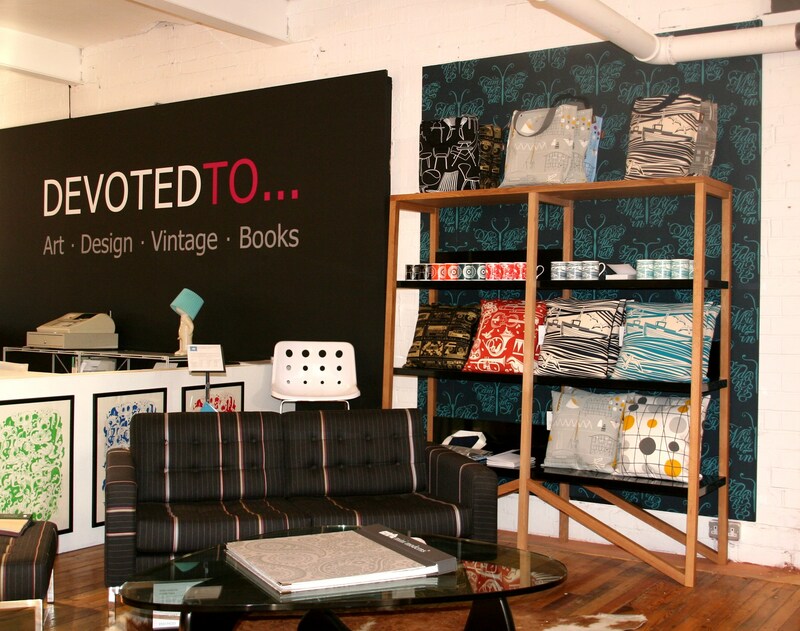 If you live in the area, or fancy a bit of a roadtrip, Redbrick is a Yorkshire design mecca and well worth a visit.